My trip to Chicagoland, Part Two. Tommaso and Maria Zaccardi were my dad’s mom’s blood-parents. They came to America, got married, and over the course of eleven years had four sons and four daughters. All four daughters were named “Maria Something” or “Something Maria.” There were no repeated names among the boys, a freakishly rare occurrence among Italian families of the day. Maria, the mother, died three weeks after giving birth to #8. Tommaso died two years later. That left the eight Zaccardi children, ranging in age from three weeks to thirteen years, orphans. At the 50th Wedding Anniversary of Vincenzo and Maria Zaccardi. Irony: First Maria died at 38, and Tommaso died at 41. Their children lived to an average age of 86, with five getting into their nineties. Anyhoo, fast forward to mid-July of this year: I attended a Zaccardi Fest for the first time. I missed the first two or three and didn’t grow up in Chicago, so I’d only previously met maybe 15 of the hundred or so relatives who showed up. Others I’d seen in pictures, or heard stories about, or seen on the family tree. Some folks so strongly resembled people I’d seen in decades-old pictures that they were recognizable as this one’s son or that one’s granddaughter. It was fun to catch up with some and meet others, though a large portion of the time was spent figuring out who was related to whom. It’s especially difficult when the given names are recycled as often as they are. Of the eight brothers and sisters, only the youngest daughter survives. Sadly, she couldn’t make the reunion because it was too far from home. 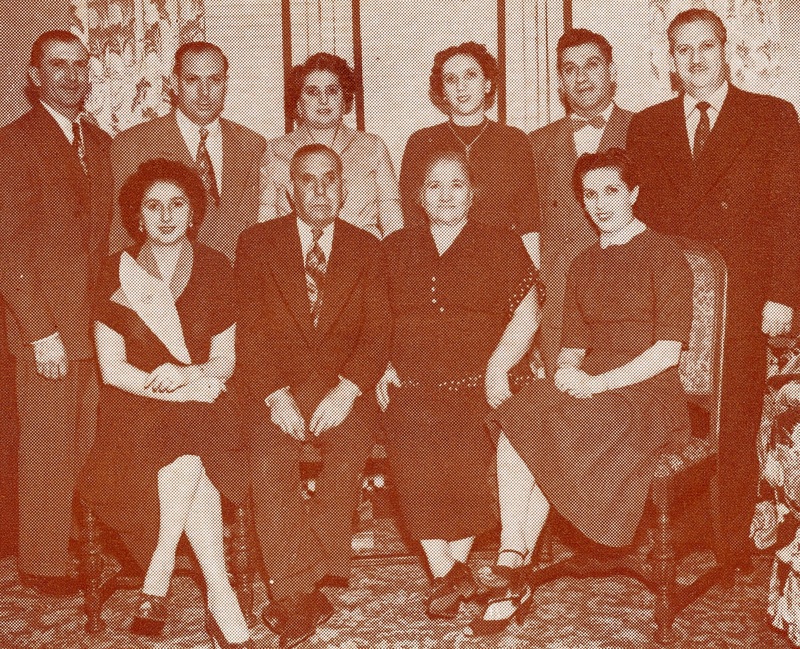 I don’t know whether there’ll be other reunions in the future, because Tommaso’s and Maria’s family may have reached a critical mass whereupon it breaks up, and their grandchildren–the children of the eight Zaccardi orphans–may become the focal points of their own huge families. Even if that happens, hopefully the story of Tommaso’s and Maria’s and Vincenzo’s and Maria’s children will be passed on. Posted in 2010, Uncategorized on July 27, 2010 by VDV. ← My trip to Chicagoland, Part One.